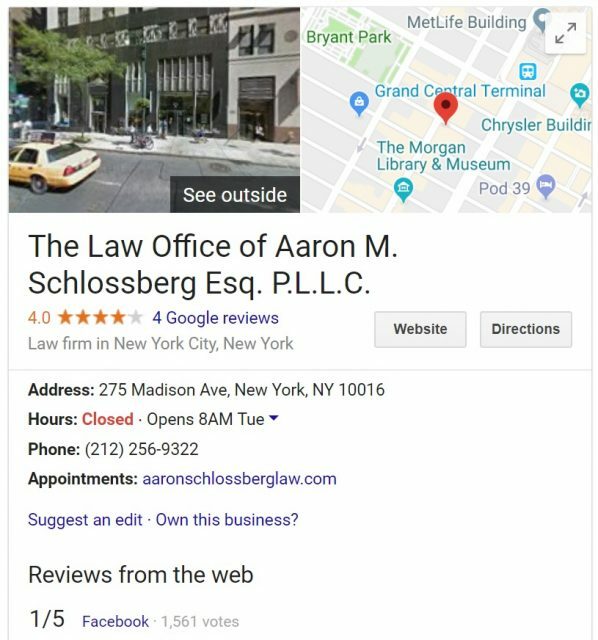 Home → Google My Business → How Google Responds to Media Fueled Reviews and Images for The Law Office of Aaron M. Schlossberg Esq. P.L.L.C. 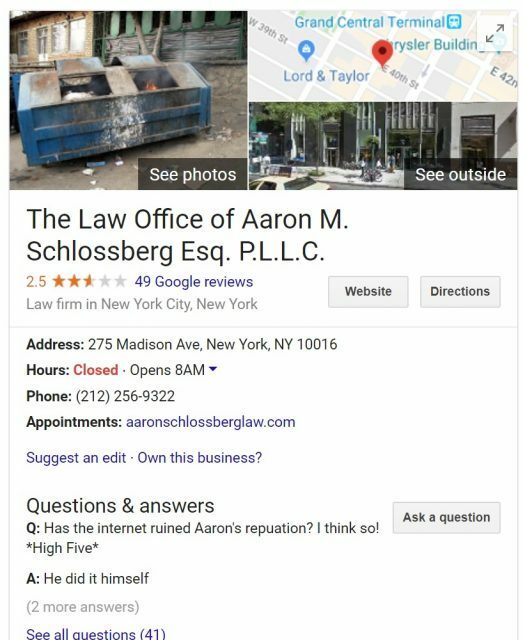 If you weren’t aware, The Law Office of Aaron M. Schlossberg Esq. P.L.L.C. is being bashed online right now. 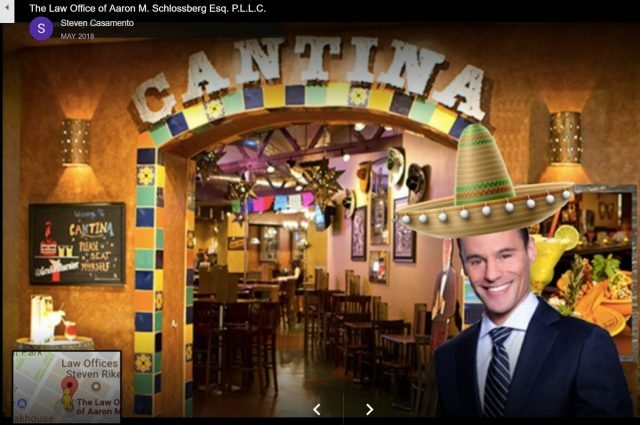 Allegedly, Aaron Schlossberg was recorded by someone after going on a rant about speaking Spanish in a Manhattan restaurant. PIX11 News called it a “racist tirade”. The viral video was uploaded to Facebook, and at the time of this article had over 4 million views. After the Internet decided Aaron Schlossberg is the man in the video, the negative reviews began pouring in for his business on Yelp and on Google. 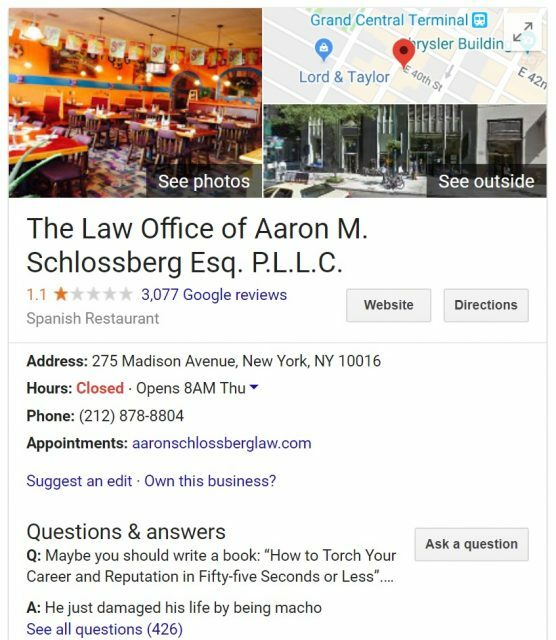 This is very interesting to me and blog-worthy as I study how businesses get reviews online, and how companies like Yelp, Facebook and Google respond to “fake reviews”, aka reviews which are not from paying customers. I’ll get to Google in a moment. Let’s take a quick look at Yelp’s response first. What interests me here is that google doesn’t seem to have a way to temporarily suspend a page. 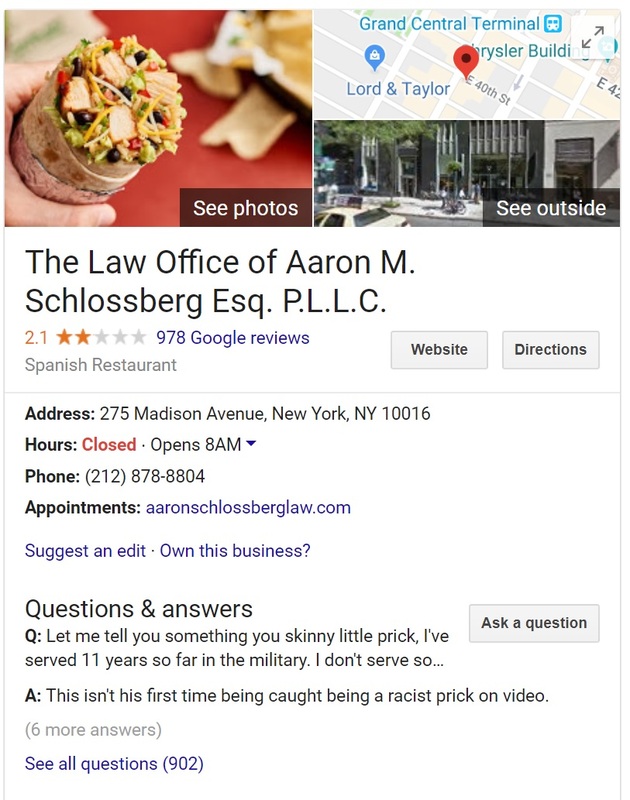 Google employees have been deleting reviews as they come in, but it appears that they can’t keep up. 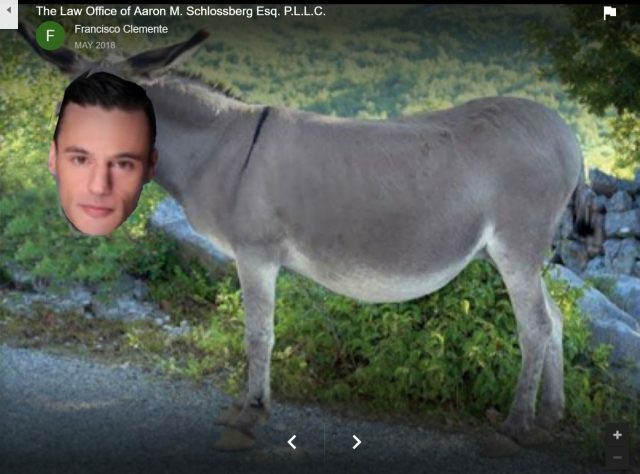 Additionally, people are uploading pictures of donkeys, dog poop, and all kinds of other things. That’s because Google allows users to upload images of places. Generally, this feature is used to upload pictures of food to restaurants. I will update this post some more in the future. What do you think about the Internet’s reaction? And Google’s? 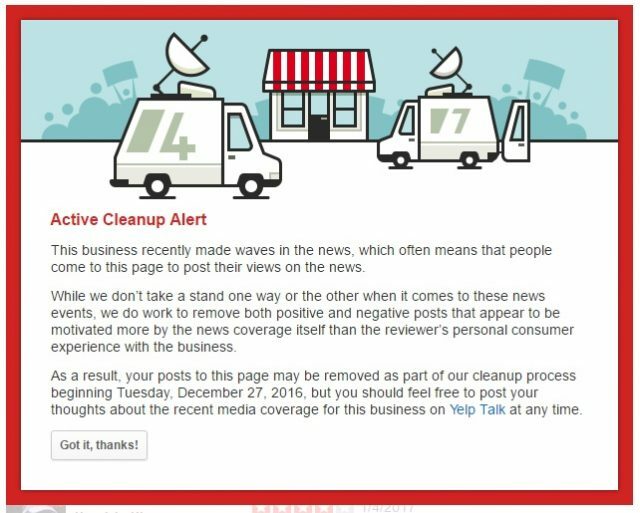 Should Google work more like Yelp during times of “controversial, media-fueled activity” (as Yelp words it)? That guy.. 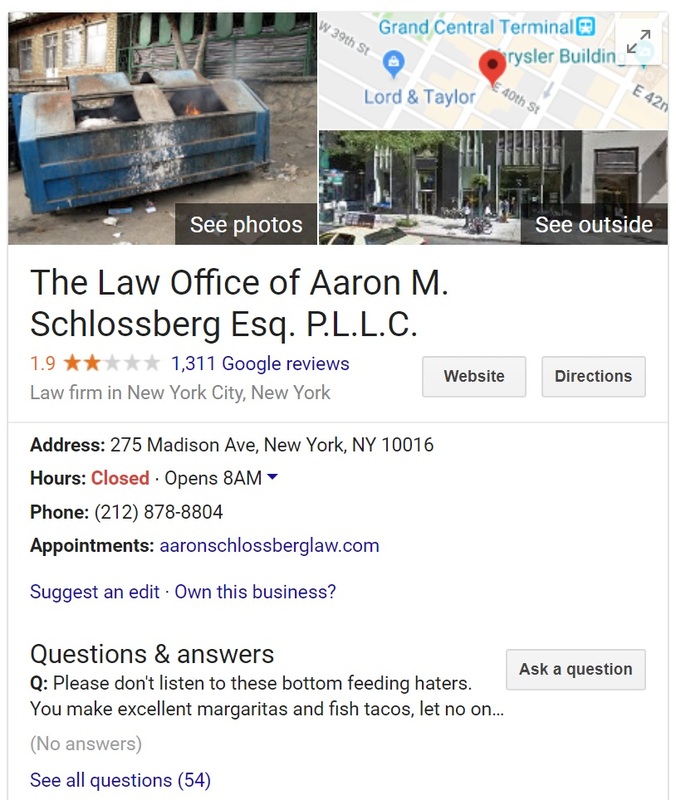 It is interesting to see how Yelp and Google respond to a business’s reviews on the Internet. Thanks for this. The Red Hen has an active cleanup alert right now after kicking out Sarah Sanders and getting a tremendous amount of negative reviews.